2018 saw Boomtown celebrate a big milestone; its tenth anniversary. 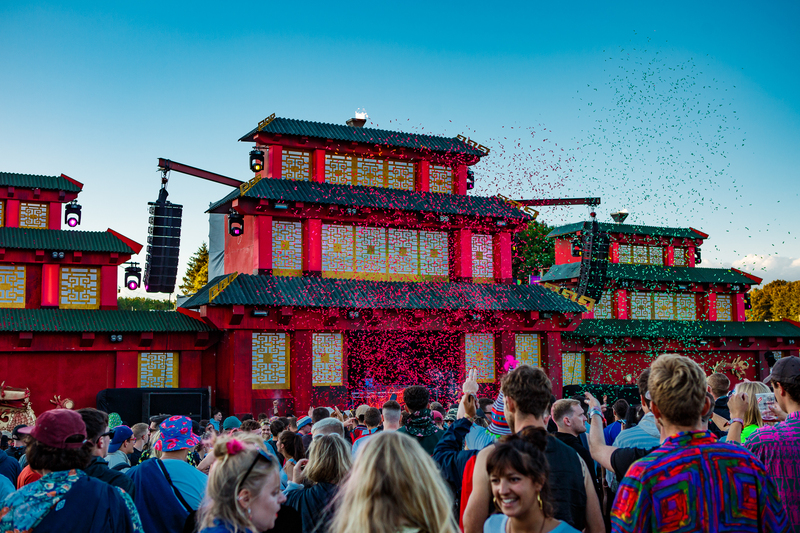 One of the UK’s most exciting spectacles on the festival scene, Boomtown Fair is truly the type of festival that you’ll be attending until you’re eighty. A decade in the making, the event has captured the hearts and minds of music lovers and festival enthusiasts with its mesmerising productions and a lineup that covers an incredible range of niche genres; even think of Gabber and Metalcore. Boomtown has continually offered an experience which has the potential to change your outlook on a multitude of subjects, whilst immersing you in a dreamlike world of creative arts, production, theatre and music. This helps to make it one of the world’s leading events in the festival industry. Chapter Ten’s lineup put forward an incredible range of acts from multiple countries including Damon Albarn’s enigmatic virtual band Gorillaz, whacky South African duo Die-Antwoord and nu-metal band Limp Bizkit as this year’s ‘headliners’, alongside a wealth of artists across an incredible range of genres. Most notably pioneering drum & bass producer Goldie & the Ensemble and a secret set from DJing legend Andy C. The idea of introducing unconventional, non-mainstream acts as festival headliners alongside a multitude and variation of respectable and prosperous small to mid-sized performers, is one of the biggest appeals for Boomtown Fair amongst standard festival lineups. Although the festival moved sites a few years ago from their original home near Bristol, Winchester’s Matterley Estate has proven to be almost perfect for the popup city. Rolling hills for enchanting views, natural amphitheatres in the earth for stage placements and stretches of forests for hidden woodland raves. This year, Chapter Ten: The Machine Cannot Be Stopped, took place on the usual second weekend in August that the festival has become accustomed to. This time, however, opening a day early on Wednesday optionally added to a select number of festival-goers for a reasonable price (£40 or free for Coach Ticket holders), great for those who wish to get settled into their chosen campsite and explore the happenings before the pandemonium of the Thursday rush. Boomtown has had its fair share of organisational issues but this year areas had visibly improved, making getting into the site a hassle-free and quick process. The crowd control methods were better, wristbanding and searching ran smoother and the gates even opened an hour earlier, meaning early punters were in and set up with a cider in hand before midday. With a change in the layout to the Downtown District, it allowed for a bigger area for backstage productions, meaning an adjustment in the location of various features including the infamous Banghai Industries. Boomtown has joined some of the UK’s most elite festivals by offering a brand new welfare and the drug-testing tent run by the charity, The Loop. This was now majorly visible and clearly placed to encourage festival-goers to take safer measures, get well-needed information about illicit drug use and ultimately offer support throughout their weekend. This is an ethos Boomtown prides itself in, alongside the launching of their new Respect Campaign where “respect is thinking and acting in a positive way about yourself or others”. Boomtown also takes pride in its political and environmental messages, encouraging attendees to care for each other and the site, laying the foundations of a warm and welcoming atmosphere – a feeling many contemporary festivals often lack. This year Boomtown opened its demographic even further to invite new audiences to lose themselves in the intricate virtual city. Diss-order Alley, an area of Downtown, where you can now find metal, punk and psych bands for the first time at the festival. To name but a few bands performing in this area Napalm Death, Idles, Voodoo Glow Skulls took to stages within Diss-order Alley. Metropolis, another new area, brought more Disco, House and Techno to the festival. Bugged Out and Edible both hosted stages bringing in some dance music heavyweights including Dusky, Honey Dijon and Eats Everything B2B Josh Wink. This area even used virtual reality and different technologies to create impressive immersive content to wow punters – what other festivals can you stop by and play a game of Super Mario Kart projected on to the wall of a stage? The district of Downtown remains a strong favourite for many of the city dwellers, with its infamous late-night antics and many exciting DJ sets. The wealthy district of Mayfair was also updated to the wonderous Paradise Heights; a new high class area full of secretive bars, casinos and hidden places to explore. A final change at this year’s festival was the new so-called ‘VIP area’ dubbed Boomtown Springs. Boomtown Springs ticket holders get a new private campsite; but not just a normal campsite. In true Boomtown fashion, organisers have created a giant hotel structure and outdoor swimming pool that all come with private DJ sets for the residents of the campsite. The package also consists of a range of perks including a bar tab that can be used at any bar in the festival. Now being such a large festival, Boomtown’s range of caterers has increased hand over fist meaning an incredible range of food on offer across the site. Every one of the event’s districts are adorned with food traders that offer up everything from the latest vegan trends to British classics and incredible international foods. Part of the weekend’s experience was trying something different and new every day. This is something that not every modern festival does well, but it is certainly a necessity in making a festival that little bit extra special. With a festival like Boomtown, its sometimes hard to describe just how good your experience was, and then coherently put that into words. That’s why we’ve picked three of our highlights from Boomtown Chapter 10. Gorillaz – Made famous as a Britpop sensation in the ’90s, Blur’s frontman Damon Albarn began producing music as Gorillaz in the early Millenium. Gorillaz are the world’s most successful virtual band created by Albarn alongside other musical talents, and co-created by Jamie Hewlett, a comic book artist and illustrator. Gorillaz now have eight studio records, and after a seven-year break returned last year with a twenty-six track record named ‘Humanz’. The band have been extensively touring the world and their announcement as Boomtown’s headliner this year was one of the festival’s biggest ever names to grace the lineup to date. 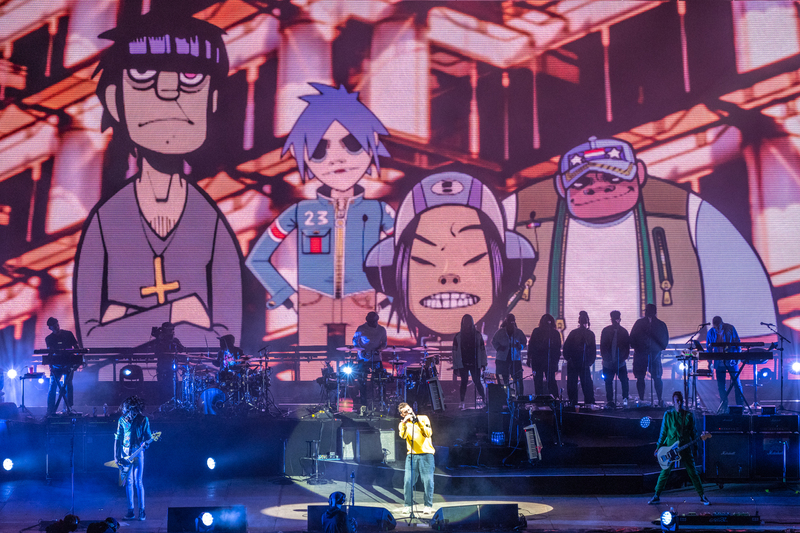 Gorillaz have blown us away every time we’ve seen them perform and Boomtown was no different. This set was something sent from the gods, a performance that I’m sure we will all take to the grave. When a musical performance is this good, it is something that’ll never be forgotten. The group played every crowd-pleasing number from ‘Clint Eastwood’ to ‘Rhinestone Eyes’. Not to mention their host of featured guests. The Skints – Hailing from London, ska/reggae/dub four-piece The Skints have been making music since 2007. The group have three studio albums, and 2018 seemed like the perfect year for the band to be given the opportunity to play on Boomtown’s Lion’s Den. Their unique reggae sound makes for a great watch and got a big crowd dancing, even in the pouring rain. The Skints played their popular tracks including ‘Rise Up’ and ‘ This Town’. If this is one alternative group to watch in the UK right now, it should be without question The Skints. 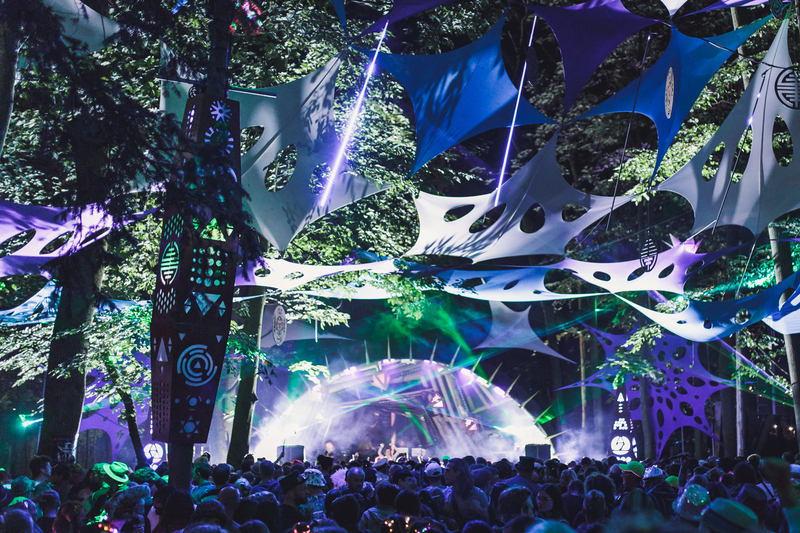 Lion’s Den – Boomtown’s Lion’s Den is arguably one of the best festival stages in the whole of the UK. Strategically placed in a natural amphitheatre, the Lion’s Den is an impressive spectacle incorporating lasers, lights, pyrotechnics and even two waterfalls. The natural arc and hill shape allows every person an amazing view of the stage and has helped define some of the festival’s greatest headline performances. The place is almost surreal, and always attracts the festival’s largest crowds. 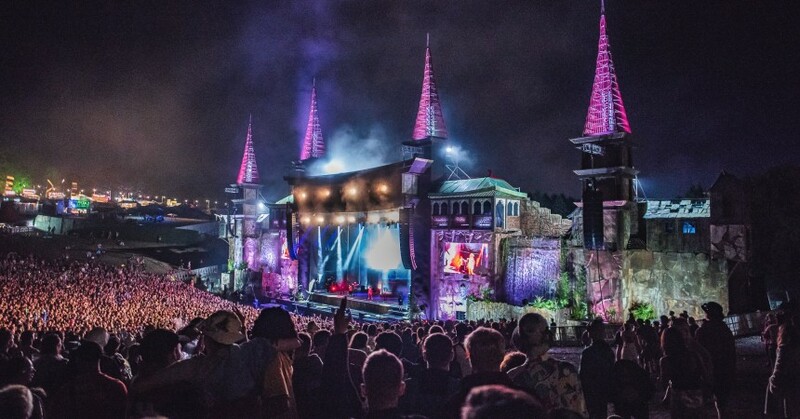 In inSYNC’s experiences at Boomtown, most notably at The Specials, Cypress Hill and Gorillaz. Boomtown is a minefield for the senses. In a very good way. Immerse yourself in the madness and experience something unbelievably unique. If you haven’t made it to the annual festival yet, then where have you been?! This isn’t something for any festival lover to miss out on. Next year, Boomtown Chapter 11: A Radical City will take place on August 7th-11th. For all you eager beavers Chapter 11 tickets will be available in November. Date to be announced. Watch this space!